How sweet!!! 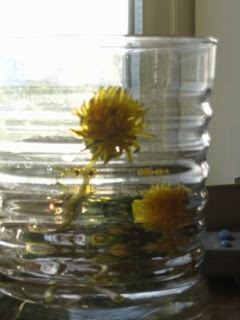 Awww... My niece and nephew each picked me one flower-esque weed as a gift. Melted my heart! It's the thought that counts. Your girls have always been so nice. Thanks for thinking of us with this hoousing situation; we'll find one yet! Cute. Noah did the same thing for me when we were on a 4-wheeler ride in SoDak. It surprised me! oh honey my heart smiled as soon as that picture popped up on the screen! Her expression in that first photo is just heart-bursting. Most beautiful flowers. Ever. Awwww she is so cute!! And picked flowers for you?? Sounds like someone realizes what a special Mommy she has! !